NTUC VEGETARIAN PRODUCT CONTAIN NON VEGE INGREDIENTS? You are at:Home»Caught In The Act»NTUC VEGETARIAN PRODUCT CONTAIN NON VEGE INGREDIENTS? which means it is not pure vegetarian food anymore. 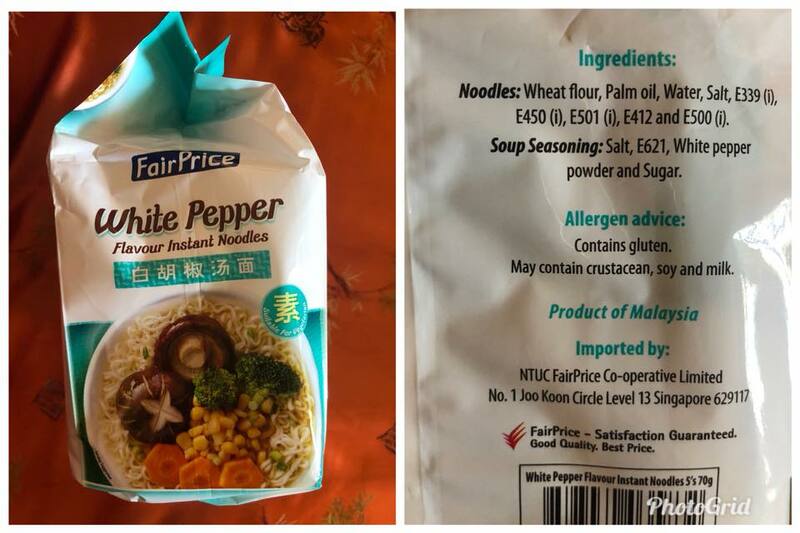 To all vegetarian folks, please do not buy this noodle from NTUC even though it claims to be 素。The allergen advice state “may contain crustacean” which means it is not pure vegetarian food anymore. Next Article SEEKING WITNESS AT JALAN BAHAR EXIT! PLEASE HELP!